FOX News/AFP, by Omar Brouksy (Benslimane, Morocco, June 25, 2013) – Vines stretch to the horizon under the hot summer sun in a vineyard near Casablanca, one of the oldest in Morocco, where despite the pressures from a conservative Muslim society, wine production — and consumption — is flourishing. 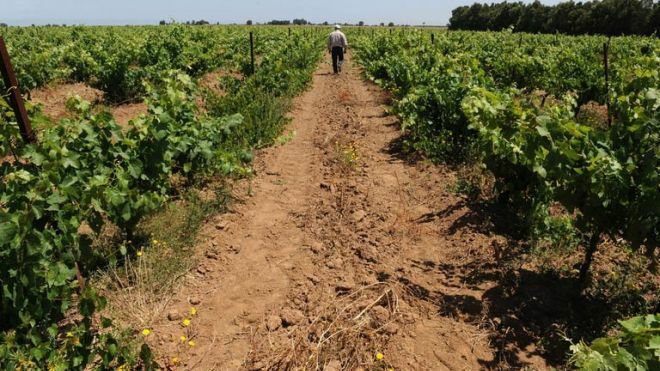 “Here there is a microclimate which favors the production of ‘warm wines’, even though we aren’t far from the ocean,” adds the manager of Oulad Thaleb, a 2,000-hectare vineyard in Benslimane, 30 kilometers (18 miles) northeast of Casablanca, which he has run for five years. According to some estimates, 85 percent of domestic production is drunk locally, while around half of total output is considered good quality. “Morocco today produces some good wine, mostly for the domestic market, but a part of it for export, particularly to France,” says Mariot. Annual output currently stands at about 400,000 hectoliters, or more than 40 million bottles of wine, industry sources say, making the former French protectorate the second biggest producer in the Arab world. By comparison, neighboring Algeria, whose vineyards were cultivated for a much longer period during French colonial rule, produces 500,000 hectoliters on average, and Lebanon, with its ancient viticulture dating to the pre-Roman era, fills about six million bottles annually. Some of Morocco’s wine regions — such as Boulaouane, Benslimane, Berkane and Guerrouane — are gaining notoriety. Already it has one Appellation d’Origine Controlee — controlled designation of origin, or officially recognized region — named “Les Coteaux de l’Atlas”, and 14 areas with guaranteed designation of origin status, most of them concentrated around Meknes, as well as Casablanca and Essaouira. In the central Meknes region, nestled between the Rif Mountains and the Middle Atlas, there is evidence that wine production dates back some 2,500 years. But the industry was transformed during the time of the protectorate (1912-1956), when the kingdom served as a haven for migrating French winemakers after the phylloxera pest decimated Europe’s vineyards around the turn of the 20th century. As in Algeria and Tunisia, the French planted vineyards extensively, with Morocco’s annual production exceeding three million hectoliters in the 1950s. 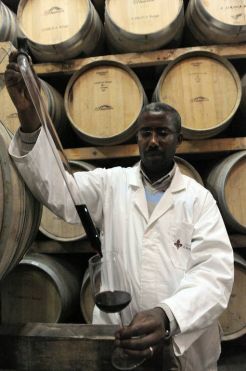 Abderrahim Zahid, a businessman and self-styled “lover of fine Moroccan wines” who sells them abroad, says the country now produces “a mature wine which we can be proud of”. 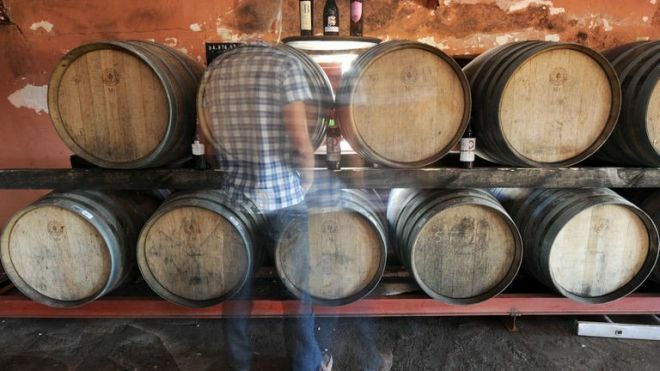 Morocco’s wine industry now employs up to 20,000 people, according to unofficial figures, and generated about 130 million euros ($170 million) in 2011. Separately, the Islamist-led government decided last year to raise taxes on alcoholic drinks from 450 dirhams (40 euros, $53) per hectoliter to more than 500 dirhams. So far this has not noticeably deterred consumption among Morocco’s population of 35 million, although economic realities certainly influence local drinking habits. The wine favoured by Moroccans is a cheap red called Moghrabi, which comes in plastic bottles and costs 30 dirhams (less than three euros) a liter.